B2B marketers at present only what one thing right now and that is to increase their profit margins for the year. Besides, what B2B enterprise doesn’t want to achieve better revenue numbers? As marketing spending continues to grow and impact the way the industry does business, companies across sectors such as financial services and healthcare should always opt to focus on securing more opportunities and expand their reach to get a bigger share of the pie. One thing’s for sure, there are a lot of figures showing the uptrends that are happening in the world of B2B. For instance, The Content Marketing Institute has released its “B2B Content Marketing 2018: Benchmarks, Budgets, and Trends—North America” that provides for a great wealth of numbers indicating the paths companies should go for the year. Due to major innovations in more specialized areas such as IT and financial services, B2B marketers are putting their best foot forward in getting their brands the exposure they deserve. According to the report, at least 80 percent of content marketers are focused on building their audiences. On the other hand, 72 percent of marketers believe that content production rests at the top of their priorities’ list. What could we possibly get from these numbers? Well, for starters, marketers in the B2B industry are confident in their campaigns and are willing to take it up a notch. Still, a lot of attention has to be put on the many possibilities for business growth. With that said, companies shouldn’t only pay close attention to getting more revenues. They should also use the successes of their lead generation campaigns in opening up opportunities for reinvestment and, eventually, expansion. Generating high-quality leads is at the forefront, and it is crucial for B2B companies to spend a lot of their resources in establishing more effective marketing campaigns. But there’s a lot to consider when your aim is business growth. Here are the most essential activities to do that will surely magnify your gains and, eventually, your business. First of all, you need to prepare a blueprint of what you are going to do. But it shouldn’t be just like any other blueprint for a multi-channel marketing drive. It should also indicate the resources you need and the strategies you think of promise a great deal of success. For this, you have to research your market well and identify key areas where a lot of opportunities can be tapped. Marketing intelligence has always been a crucial factor in the race to meet one’s revenue goals. Moreover, by looking closely at the most important numbers, you can avoid spending an unnecessary amount of resources and focus on unimportant things. In lead generation, content is always king. And just like a king, it should be treated accordingly. In other words, a lot of care has to be put into creating content that aims to entice and inform. Using infographics and blog posts to up increase visits to your sites are the way to go, but you might as well use other platforms such as videos. In fact, video marketing has been proven to be an effective way to generate quality B2B leads. The Content Marketing Institute, in particular, found that 62 percent of B2B marketers have regarded video as an effective tactic. To be able to convert visitors faster, you will need to give them a reason to consider subscribing to your mailing list. In this case, your website has to be bootstrapped into having the capacity to entice potential customers to his that subscribe button. For this, having a creative eye when it comes to your website design helps to keep the lead generation machine churning. While you are at it, you should make sure that your site is also optimized for mobile users. A great deal of B2B customers, in fact, engage through their smartphones. Targeted marketing is an all-important activity that leads towards business growth. One problem with this is that it’s difficult to track leads wherever they are online. With that said, creating an effective marketing list will help you go around such complexities and help you focus on high-priority leads. It saves you time and money which can be channeled towards business growth. How to have qualified leads in Australia without a hassle! Which do you think is a more effective strategy in generating B2B leads—making a good name in the industry or making the best products and services? While you might think that both are just as important for ensuring the radical growth of your revenues (and business as a whole), it is imperative to note that conflating these two in your priority list might not be a good idea. Are you still having a hard time deciding which path to focus? Here are our arguments that will help you clear up your mind. The premise that promises. B2B marketers operate under the assumption that it is a squander to make your name sweet-smelling to attract more leads than you can handle when you can keep yourself busy with improving the quality of your products and/or services. You might as well be more interested in keeping your costumers satisfied than watch your time and money being frittered away by making your company known in the market. If branding or making a name is your primary focus, there are B2B marketing companies who can help with your lead generation campaigns and make sure that both aspects of your marketing efforts are well taken care of. Leave the rats to the cats. You make the cheese. And we’re the cats that hunt rats for your cheese. Get the picture? If you want more rats to come down and gobble on your cheese cakes, you might want to improve the quality of your cheese. You do that, and you will have no trouble making your name known in the rat community. Just make and keep your products and services in good quality while we take care of the lead generation aspect of your business. Don’t get us wrong here. We’re not trying to make the sales for you. You’re good at that. In fact, you are the best at that. What we do is provide you with sales-ready leads—leads that fit your “ideal costumer” criteria. “What’s in a name? That which we call a rose, by any other name, would smell as sweet.” So goes Shakespeare’s famous line which teaches us the insignificance of a label in the eyes of a customer who doesn’t need it. Though it is true that in B2B marketing, an established name easily wins trust, it is, by far, the quality of products and services that sustains it. A good name may help you attract customers anywhere around the world, but it is bound to get tarnished when customers are not happy with the quality of service they are getting. Keep the quality of your services at par with the highest standards to keep your name untainted by complaints and negative publicity. They say bad publicity is still publicity. Though this may work for some businesses in the market, we know for a fact that a bad name really creates a bad image, and may in time prove to be a huge roadblock in your B2B lead generation efforts. Should businesses choose between label and quality? The answer is no. Hire a marketing team to generate qualified leads and have your team focus on improving your products and services. It should not come across as a surprise when a financial lead suddenly expressed disinterests. But commonplace as they are, rejections are a bane to productivity and profitability. In many cases, they happen because firms fail to realize a strong lead nurturing system. Many major deals happen when prospects change jobs. Be sure to connect with your prospect on LinkedIn after your first face-to-face meeting, phone call or email exchange. LinkedIn is an ideal way to monitor your prospect’s job changes and alert you to opportunities. For example, you’re connected to Billy, your contact at XYZ Company, on LinkedIn. Billy didn’t buy from you, but you know that XYZ Company is a good prospect. You follow Billy on LinkedIn, and three months later, you notice that Billy has a new job at another company. If Billy was a gatekeeper that kept you from selling to XYZ Company, you now have another opportunity to make a new contact at XYZ. If Billy was a friend, you can reconnect with him and see if he is able to make purchase decisions in his new position. The right time to nurture a lead depends on their buying timeframe. For example, if a lead is buying school supplies for a high school, you’ll need to know their window for budgeting and purchasing those supplies before the school year starts. This will help you to nurture them before they make a decision. Every industry has times during the year when their products or services are hot. If you nurture your leads before these times, they will be more likely remember you when they are ready to buy. A good rule of thumb is to look at your own company’s lead volume for cues. For CallProof, it’s at the beginning of the year, when companies are revamping their sales strategies. Or if I’m in the landscaping business, and my call volume is heavy in March and April, I know February is a good time for lead nurturing. Then I can use direct mail to contact my leads, or I can redirect their email addresses and phone numbers into a social media campaign on Facebook. Timing is everything in B2B lead nurturing. As the saying goes, “It’s hard to sell someone dinner when they’re full.” Show your leads the steak when they’re hungry. No matter what business you’re in, timing is the key to nurturing leads and turning them into sales. Take control – when going in a meeting (like the ones set up by your appointment setting team), you need to take the initiative and start meeting. If you let the other side start it, you will notice that you lose control over the direction of the meeting. This is very important, since pricing and terms of agreements are sure to be involved. Always put things in writing – there are formal agreements and there are written agreements. As much as possible, stick to the latter type. Yes, you can discuss terms verbally during the meeting, but it helps if you have written everything down immediately. Besides, once you have the agreement written down, you are actually encouraging the prospects to sign up with you. Be cool – no matter what the situation, you should always maintain a cool demeanor in your meetings. This is the secret of successful conversion of B2B leads to an actual business deal. Even if the other side is in a heightened mood, you should not be carried away by it. 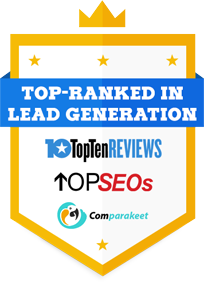 Only then will be able to successfully handle your lead generation campaign in Australia. Australian businesses will find it to their advantage to heed this advice: invest more in the Asian market. While it may be true that businesses in Australia are enjoying profitable growth over the years, the fact remains that this will not remain stable. Like in the mining sector, exports can go down in the future. Companies need to expand their trade portfolio, put more effort in their lead generation and appointment setting campaigns, to find more markets to generate B2B leads from. There are a lot of markets receptive to the various industries that Australia has. The key here is in choosing the right ones. The number of industries in Australia that can try their hand in the Asian market is numerous. There are those in the agriculture sector, tourism, education, manufacturing, construction, etc. How an Australian firm succeeds in this depends on how good their marketing team is, whether they have people skilled in communication, like in social media and telemarketing, which can promote their company. If they do not have an in house one, or they cannot afford one, then they can easily have it outsourced to those who do. There are plenty of professional lead generation and appointment setting agencies that can provide such services. As an engine of growth, the Asian economy is one that Australian businesses should grasp. There are a lot of opportunities to be found there, with the rewards for the intrepid ones substantial. The sales leads to be obtained there will certainly be of value.